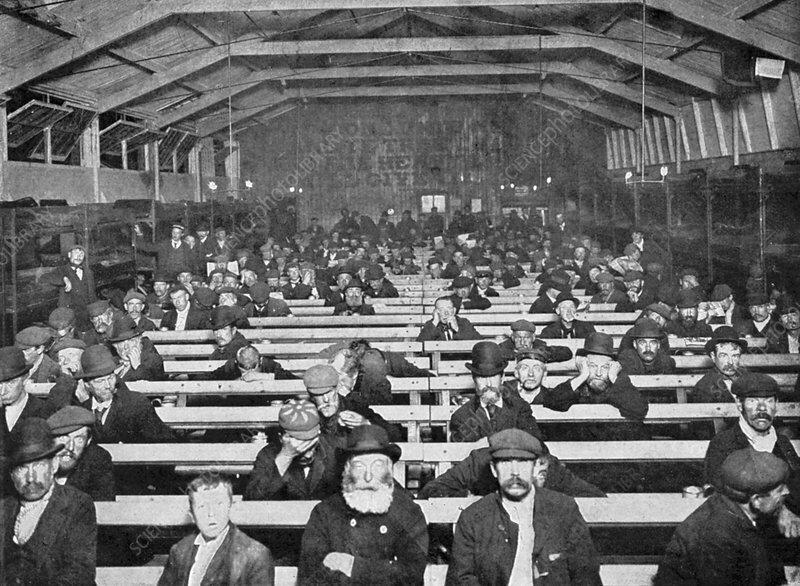 Salvation Army shelter, Blackfriars, London, early 20th century. The Penny Sit-Up for men, where the homeless could find shelter sitting on a bench for a penny a night. Bunks round edge of room were more expensive.